Dates are delicious, and they have a caramel flavour when used in baking. If you are one of us who decided to exclude refined sugars from your diet and you still have traces of a sweet tooth, you should consider Dates, such a versatile sweetener. This fruit is very sweet but at the same time it is considered to be a functional food. According to Critical Reviews in Food Science and Nutrition (Volume 52, Issue 3, 2012) ‘it is apparent that the date fruits are highly nutritious and may have several potential health benefits’. Dates are a rich source of energy, fiber, vitamins and minerals. Compared to other dried fruits such as apricots and figs, dates are a good source of compounds with antioxidant activity. I know, this recipe took much longer than I thought two posts ago when I said Dates Dessert was coming soon. The second favourite version on the photo above may remotely remind you a very soft and airy Pavlova cake. It feels like you eat more air than the actual dessert. 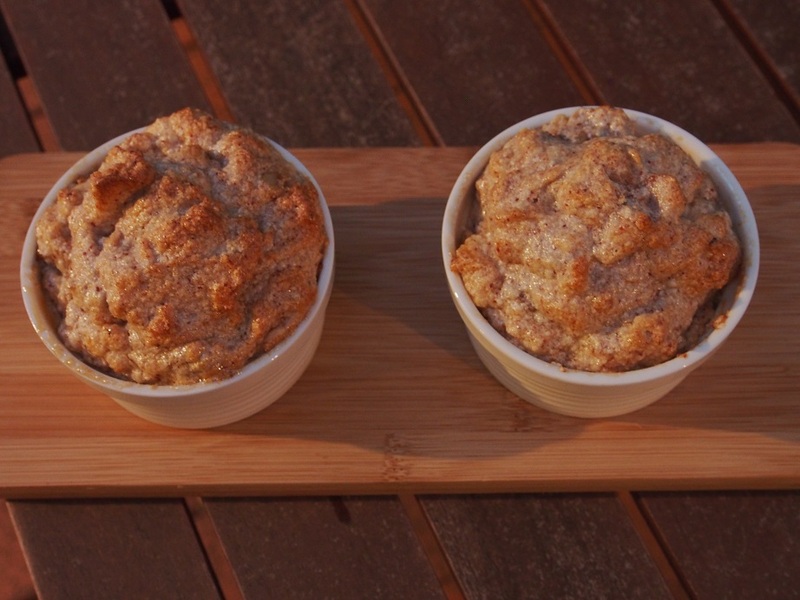 You just need to beat the egg whites, combine with the sifted dates and bake them for a few minutes. 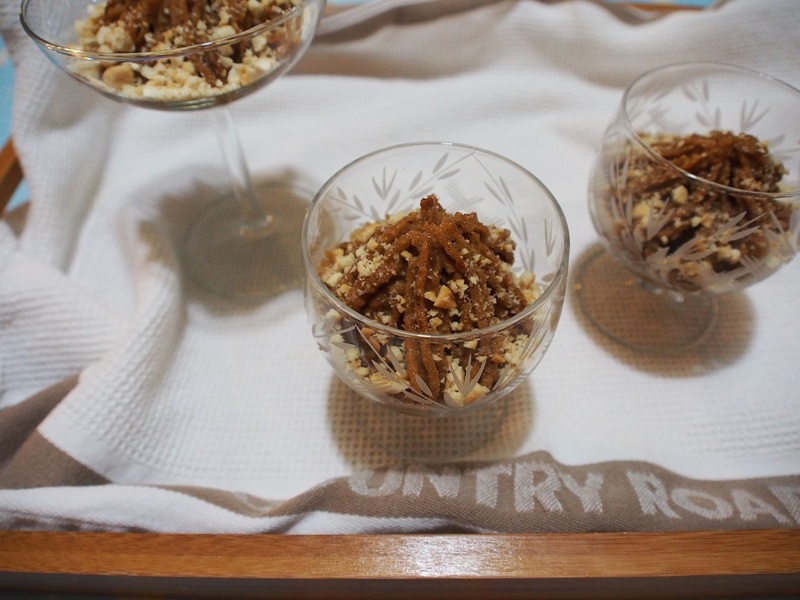 The recipe below is my version 7 of the Dates Dessert and it is the winner. (About 3 kg of dates was consumed over the last 2 months.) This combination of sweet dates and salted cashews might remind you of the Salted Caramel flavour. *3 large or 6 small individual glasses. 1. Soak raw unsalted cashews overnight for cooking on the next day. 2. Place the chopped dates into a small saucepan, pour 1 cup of boiling water, and simmer for 10 minutes on low heat and without a lid. When ready, the dates will dissolve and should be the consistency of soft porridge. Add the coconut oil to cooked dates while warm enough to melt. 3. 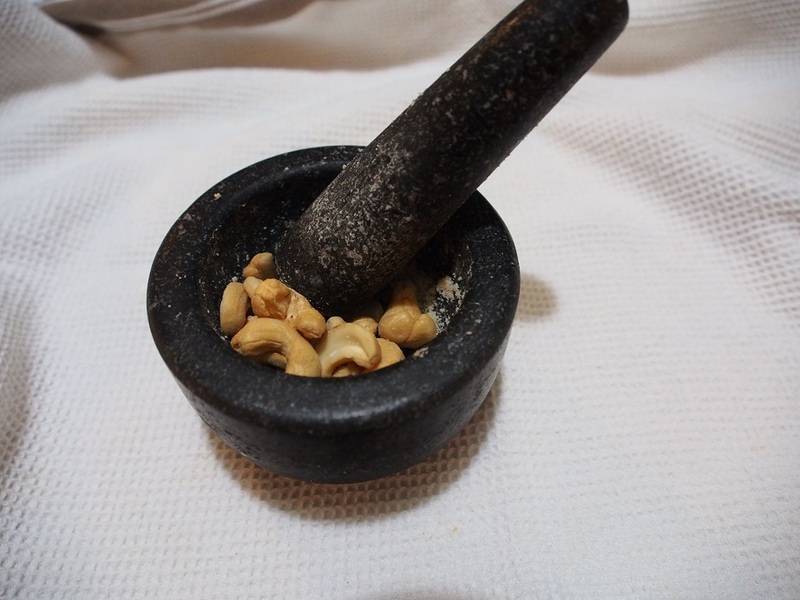 Drain the soaked cashews and process them on high speed along with the dates mixture. 4. Transfer the mix into the glasses, you may use a large decorating nozzle to push the mixture through for a better presentation. Leave them in a fridge to set for an hour. 5. Crush the salted and roasted cashews. If needed add a pinch of Himalayan salt. Just before the dessert is served top it with crushed salted cashews.